We offer effective mosquito control services to reduce family and employee health threats. A mosquito is a small insect that resembles a fly. They use their mouth parts to draw out blood of mammals, birds, reptiles and even some types of fish. 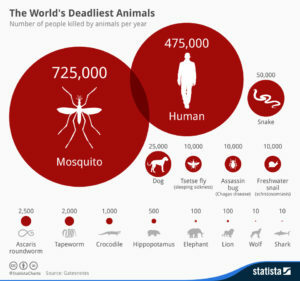 Mosquitoes have been around humans for centuries, spreading diseases and death to millions. They cause malaria. According to the Newsday, malaria continues to wreck havoc in Zimbabwe. The country recorded an increase in malaria cases with over 89000 infections and 151 deaths in the first 9 weeks of 2017. Malaria is a life threatening blood disease caused by the anopheles mosquito. Not only do they cause death, their bites are also itchy and uncomfortable. The government is doing its best to spray some sections of the country where mosquito breeding is common. But the government is under resourced and under staffed. This is where Pest Portal can come in especially in urban areas where the government does not cover. There are also serious diseases caused by mosquitoes. Mosquitoes also cause Zika virus. The virus affects pregnant woman. Symptoms include fever, rash, joint pains and red eyes. The virus can also go on and affect the baby. This will result in microcephally and other fetal brain defects. Microcephally is a condition where babies are born with small heads and sometimes small brains. Mosquitoes are also the primary vectors of major human diseases. These diseases are yellow fever, malaria and dengue fever. These diseases which together infect hundreds of millions of humans worldwide and kill millions each year. Mosquitoes also considerably reduce the value for homes and buildings. This impacts negatively on industries such as tourism. Mosquitoes also impact negatively livestock and poultry production industries. Seeking professional help for controlling mosquitoes is, therefore, strongly recommended. You should make use of proven techniques to reduce concerns of diseases or infections. At Pest Portal Zimbabwe, we provide mosquito control solutions that work. mosquitoes breed. We also control mosquitoes through control of larvae and control of adults. These effective and comprehensive services include barrier spraying and misting. This helps to control the mosquito population on your property and homes. Pest Portal Zimbabwe uses barrier barrier treatment to effectively control mosquitoes. This method kills adult mosquitoes. The dried residue will also help protect you and your family. Our misting systems involve providing periodic misting of bush, shrubbery and other foliage surrounding your home or property. This therefore helps in killing or repelling most mosquitoes. It also reduces the need for barrier sprays. At Pest Portal Zimbabwe our main priority is your ultimate satisfaction arising due to an effective mosquito control service. If you are not 100% satisfied with our service delivery, let us know. Do it yourself mosquito treatment and control efforts are not always successful. Therefore you need to speak with the mosquito elimination specialists at Pest Portal Zimbabwe. 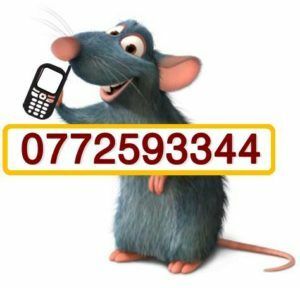 We are a company that provides pest control solutions that last. We will be able and glad to advise you on various useful mosquito control methods. These methods will help you achieve instant better results. 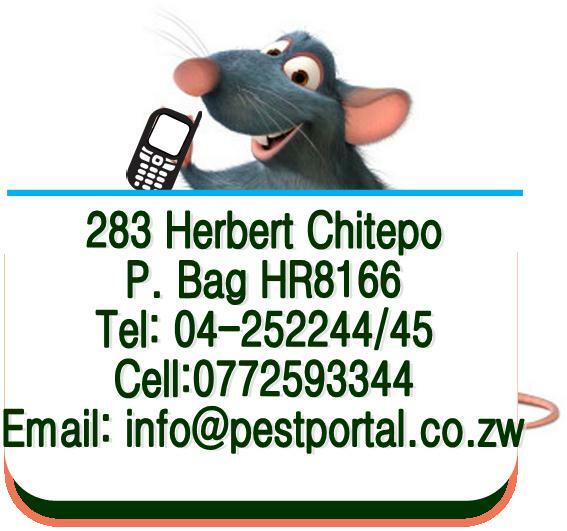 Pest Portal is a pest control and fumigation services company based in Harare but also covers Bulawayo and the whole of Zimbabwe. The company provides customized pest management solutions for all troublesome pest varieties. These pests include rodents, roaches, bed bugs, mosquitoes and more. It also offers human bee removal services. Read here to hear more from our CEO.